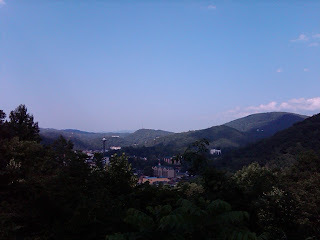 Knoxville falls in the humid subtropical climate zone (Koppen climate classification Cfa), although it is not quite as hot as areas to the south and west due to the higher elevations. Summers are hot and humid, with July highs averaging 88 °F (31 °C) and lows averaging 69 °F (21 °C). Winters are generally cool, with occasional small amounts of snow. January averages a high of 47 °F (8 °C) and a low of 30 °F (−1 °C), although low temperaures in the teens are not uncommon. Single digits are very rare, occurring once every few years. The record high for Knoxville is 104 °F (40 °C) occurring July 12, 1930, while the record low is −24 °F (−31 °C) occurring January 21, 1985. Annual precipitation averages around 48 in (1,219 mm), and average winter snowfall is 11.5 inches (29 cm).